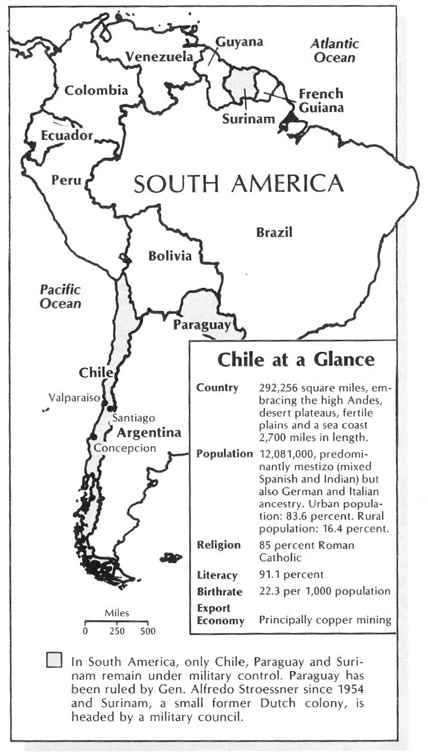 Relative calm has returned to Chile, now under modified martial law after months of violent confrontation between government forces and a growing opposition movement, which culminated in a leftist assassination attempt on President Augusto Pinochet in September. The following months will determine if this is but a lull in the struggle between Chile's 13-year-old military dictatorship and the principal political groups seeking a revival of democracy. There is a consensus that if an accommodation is to be forged between the two sides, it must occur in the near future, before the situation becomes further polarized. Even if violence does not flare up again, virtually no one expects a return to democracy before 1989, when Pinochet's current presidential term expires. There is considerable doubt whether the durable dictator can be persuaded to step down even then. Under the constitution he rammed through in 1980, the four-member military junta he controls is due to designate a single candidate for an eight-year presidential term and submit that name to a nationwide yes-or-no plebiscite in 1989, If the electorate rejects the candidate, open elections for the presidency will he held the next year.